Discussion in 'Wanted to buy or trade' started by motomuto, Aug 31, 2018. 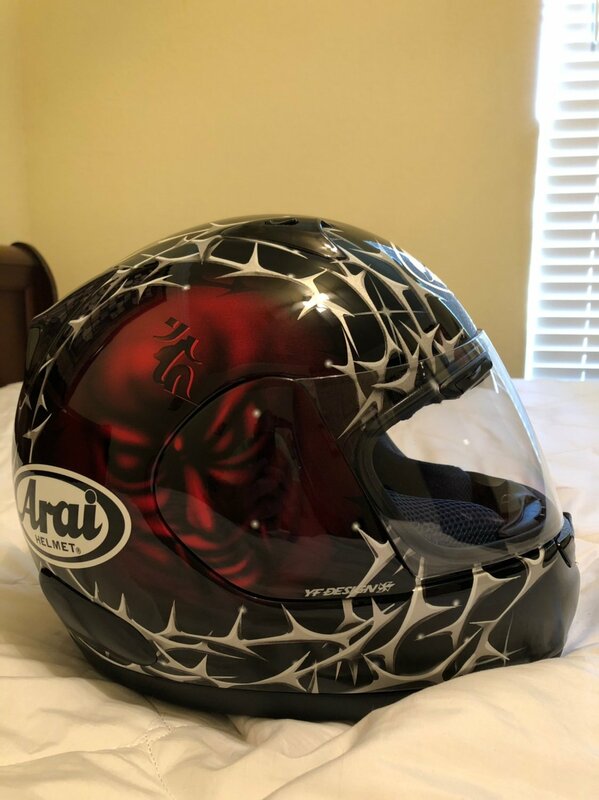 Looking for older Arai and Shoei helmets for cheap. Preferably racer replicas or with graphics. Let me know what you have and price shipped to 97229. Shoei X12 Shoya Tomizawa is on top of the list. Thanks but not looking for his at the present moment. Im looking Nicky Hayden though. Which Nicky are you looking for as I have 1 of each back to the Wired replicas ? Not gong to "give" any them away obviously. Any Alex Barros helmets out there. Looking for the Shark brand helmet for him and still looking for the Shoya tomizawa Shoei helmet. 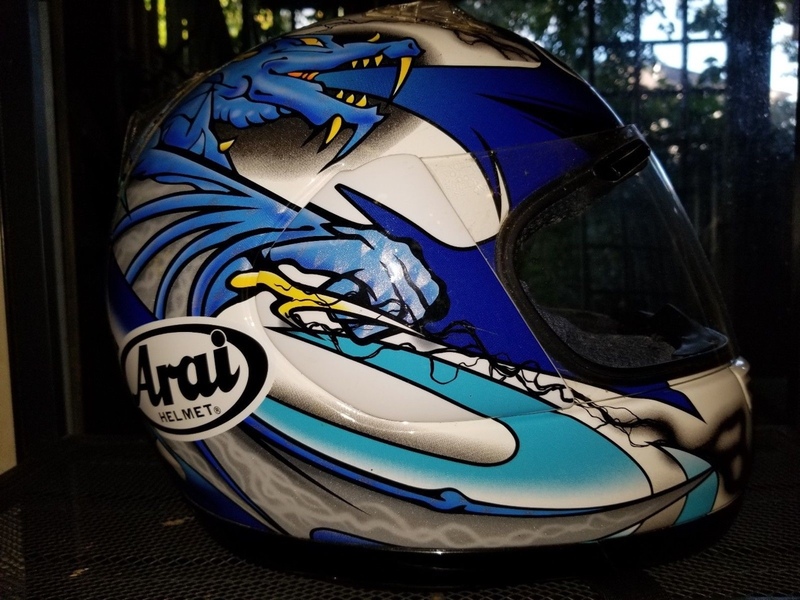 I have a couple Arai helmets. All large, in great condition and willing to sell. If interested, PM me. Here’s some pics and will get more if needed. May have others but will need to check my inventory. Anyone has the Harada helmet that's in the pic to sell? I think I have one left. Quantum /f. Will look Wednesday when I'm at the storage building. Sounds good. You can hit me here or text 202-439-4591. Thanks. 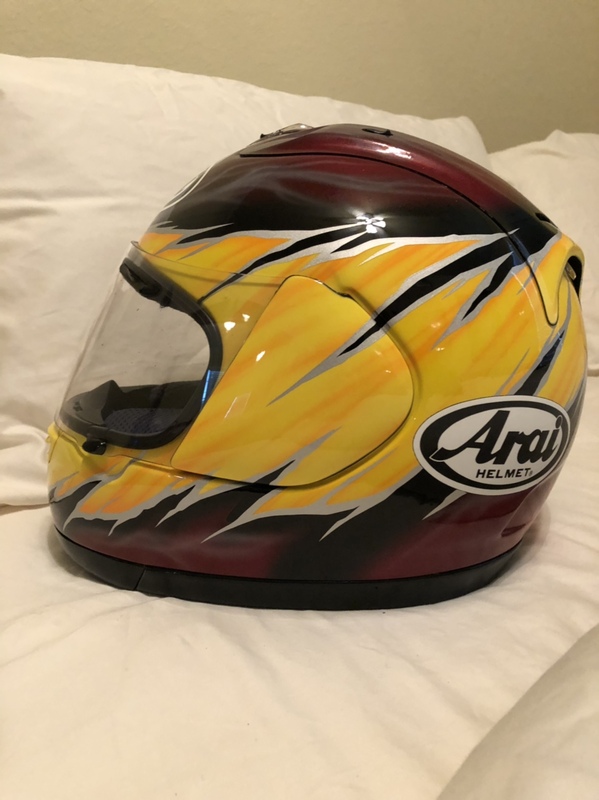 I have an arai nicky that has a small scratch and needs one of the ear pieces since I broke it for being impatient. 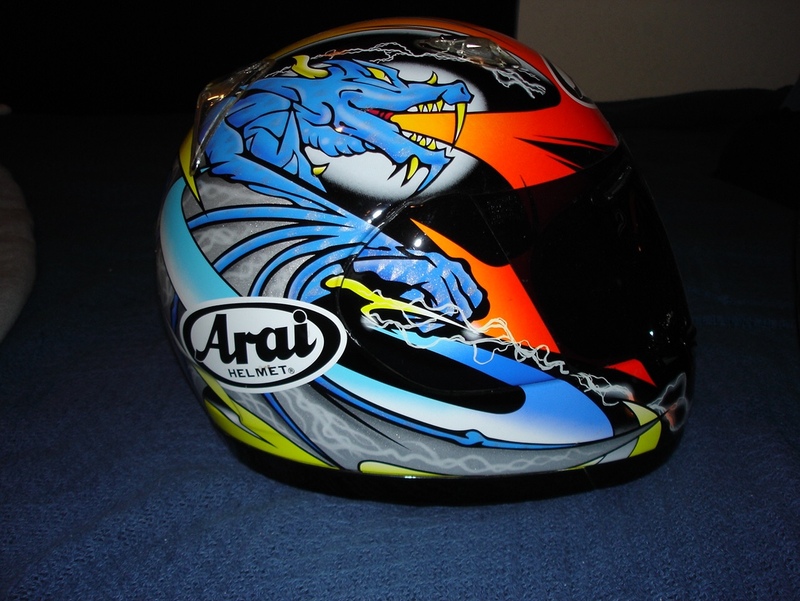 I'm also looking for this Arai Harada helmet. Any of these still have good date codes within 5 years?